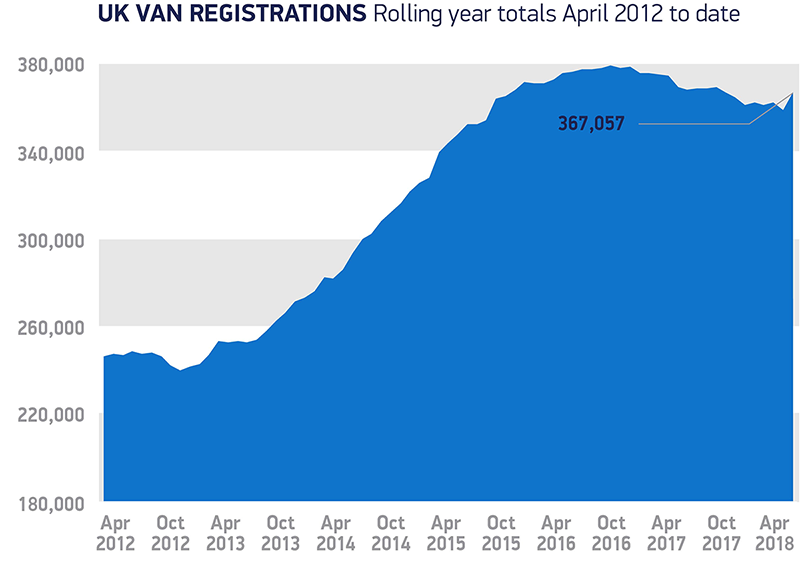 New light commercial vehicle registrations rise in April, up 3.9% as 23,501 vans join British roads. Demand grows across all segments bar pickups, down -13.5% to 3,332 units. Year-to-date market declines -2.3% as monthly demand continues to fluctuate in 2018. Vans weighing less than 2.0-tonnes experienced the largest rise in the month up 11.0%. 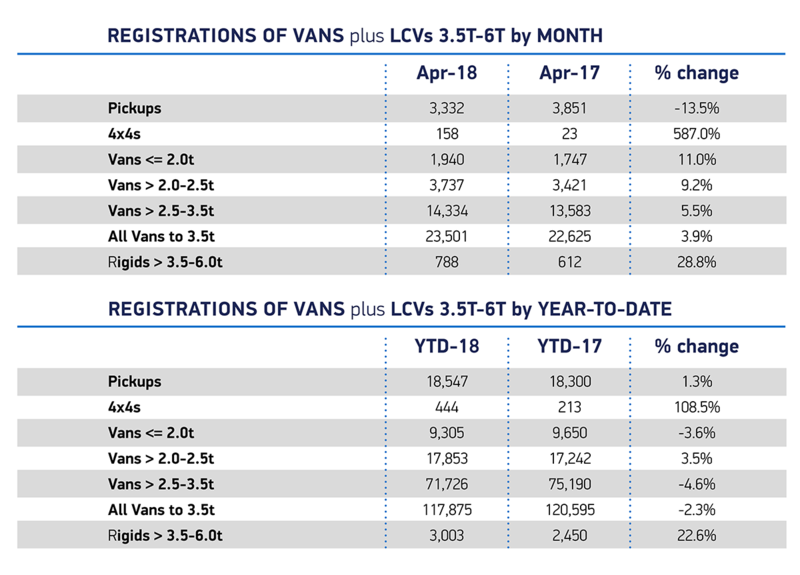 Medium and heavier vans followed, up 9.2% and 5.5% respectively, while demand for pickups fell -13.5%. 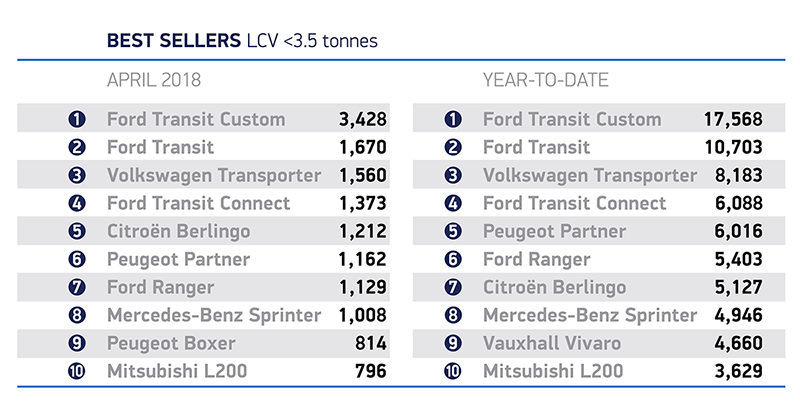 The performance means year-to-date registrations are holding relatively steady, down -2.3%, with 117,875 new LCVs joining British roads since January. After last April’s double-digit decline, last month’s growth isn’t surprising. 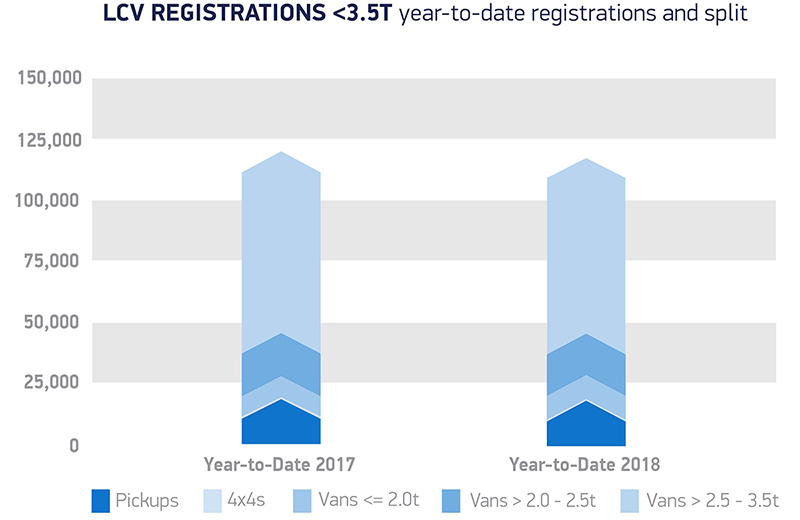 Year-on-year van market performance has fluctuated over recent months, reflecting natural variances in buying cycles and a range of new model introductions. We expect this trend to continue throughout 2018.